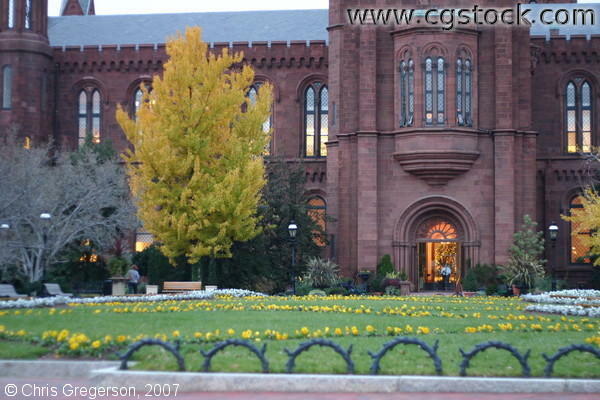 stock photo - Smithsonian Castle, Washington D.C. The Smithsonian Institution Building, with its red sandstone built Norman style (12th century combination of late Romanesque and early Gothic motifs) was completed in 1855 by architect James Renwick Jr. It is located in the National Mall in Washington, D.C. and houses the Smithsonian Institution's administrative offices and information center.